The tour will acquaint you with Belarus perfectly well. Tourists will see all prominent and beautiful attractions of Belarus. You will get acquainted with the past and the present of our country and with the national cuisine. You’ll see the most beautiful palaces (The palaces in Mir and Niasvizh are included by UNESCO into the list of world cultural and natural heritage). 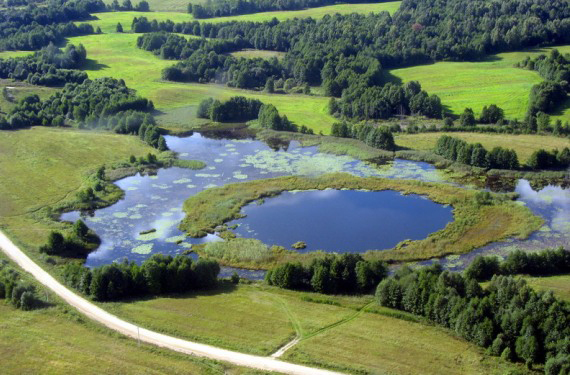 You’ll relax on the Belarusian agro-estate and enjoy peace of our pristine nature. 1/Saturday — Minsk. Arrival. Transfer to hotel. Check in, dinner, a small city tour “Evening Minsk”, supper at the National restaurant, free time. Return to the hotel, rest. 2/Sunday- Minsk-Mir-Nyasvizh Breakfast at the hotel, departure to the tour “Mir-Nyasvizh”. Moving to an agro-estate, hotel check-in. National cuisine’s supper, Russian baths, overnight. Arrival in Minsk on Monday in the morning. Mir castle – the tour through the Mir palace (the monument of defensive architecture, XVI cent, Belarus), visit of a castle tower, observing the Armoury Chamber and the living space, visit of the Spassk chapel (it’s a tomb of dukes) and landscape park. Nyasvizh — Arrival in Nyasvizh. The tour through the conservation area “Nyasvizh”. Visit of series of palaces and gardens (5 different parks with a total area 100 ha, including ponds), chapels, towers of the “Castle Gates”.You’ll also go to the Farny Church (XVI cent.) – the first baroque monument in Eastern Europe. There is a tomb of dukes Radzivill there. Moving to an agro-estate (it’s a possibility to have a rest on the nature and enjoy the meditative silence and peace). The tourists can appreciate the beauty of Belarusian pure nature. Near you can see a river, a forest and a lake. Guests who wish to ride a horse or to sleigh have such a great possibility. The bath will be ready for tourists (you can enjoy relax there after a big tour day). After that you’ll have a hearty supper of Belarusian national cuisine and then you can have a rest. 3/Monday — Breakfast. A trip to the museum complex of the old folkcrafts and technologies “Dudutki”. The country excursion to “Dudutki – open air museum”. It’s a unique museum in Belarus with craft workshops that are opened nowadays. Forge, a pottery studio, studio of wood processing, of the things that are being made of straw and rod. Weaving, dairy, distillery, vintage auto show, zoo. A pleasant surprise: tasting from the miller (bread, bacon, onion, salty cabbage). Tasting on the brewery ( old gentry vodka, traditional snack). Tasting in the bakery ( bread, cheese, butter, herbal tea). Riding on horses (if desired),arrival in Minsk, dinner. Sightseeing bus-walking tour of the city. We present you the past and the present of the ancient city, embodied in architecture and sculpture, museums and parks: you will visit the Trinity Suburb — the historic center of the old town, «Island of Tears», dedicated to the memory of the children of Belarus, who died in Afghanistan, the Town Hall Square with the town hall, you will see spiritual holy places, Minsk Holy Spirit Cathedral, the church of St. Virgin Mary, church of St. Simon and Helena, get acquainted with a lush Soviet and modern technological architecture of Minsk (the National Theatre of Opera and Ballet, the House of officers, the main building of the Academy of Science, the National Library – here you can see stunning evening illumination and visit observation deck if desired). Supper, return to the hotel, overnight. 4/Tuesday – breakfast, moving to a trip “the Stalin Line” Visit of the military historical-cultural complex ‘the Stalin Line” was created on the basis of one of the largest defensive fortifications’ chains of World War II. Here you will plunge into the atmosphere of fighting and life during World War II. You’ll not only see a military equipment, covered artillery and machine-gun emplacements but also drive armoured vehicles and shoot from a real weapon. Historical-cultural complex ‘the Stalin Line” is one of the most epic fortifications on the territory of Belarus. It was created to 60th anniversary of Victory of the Soviet people in the Great Patriotic war. The complex not only perpetuates the grand system of fortifications districts “Stalin Line” but it is also a symbol of the heroic struggle of Soviet people against fascist aggressors. Arriving in Minsk, dinner, free time, supper, entertainment programm. 5/Wednesday — breakfast. Morning departure to the automobile factory BelAZ (The Belarusian Automobile Plant). It is the largest employer in the city, and with about 11,000 workers, about one-sixth of the local population work there. BelAZ is an industry symbol of modern Belarus that produces large haul trucks. You’ll see a truck of 450 tonnes. It was awarded the Guinness World Record. You’ll get acquainted with the factory’s history and you’ll have unforgettable impressions from the largest trucks in the world. — driving on huge large trucks if desired (extra pay) Arrival in Minsk, free time, transfer to the airport. entertainment program (evening) – circus, casino, theatre, waterpark. If desired — St. Elizabeth’s monastery with a large territory of 8 temples and a bell tower . Price for a group – 10 euro/1 person.